The original 4Ps of marketing have been replaced by 7Ps of effective digital marketing. When Jerome McCarthy defined the marketing mix in 1964, few could have guessed that a quarter century later, the internet would come along to disrupt that concept. We have access to information like never before, and many key activities are now conducted online. That’s why online marketing has become such a popular discussion. How will customers hear about your product? Online marketing has now become a key factor for success for small business owners all the way up to multinational corporations. 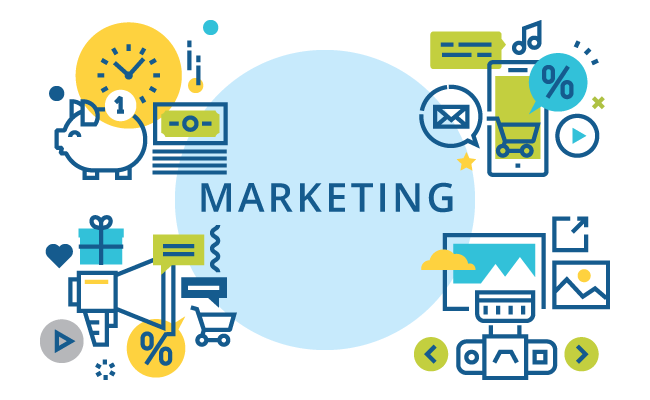 It has redefined the marketing concept, evolving from getting a product to the consumer, to a relationship building process intertwined with social media and content marketing. As it relates to the mix, the 4ps of marketing have to be expanded to accommodate the online consumer. Product – What you sell online is what people are willing to pay for. It’s not just about milk and bread, or a pair of shoes. Samantha Hess runs a website that sells ‘hugs’ (the ones you got from your mother for free) for £40 an hour. Someone advertised a jar of toenails for $25 on Etsy. The point is, with the internet, the product can be anything. Part of marketing to an online audience involves clearly defining the product knowing that the right audience is out there, and is not limited to your community or country. Price – Setting price on the internet can be tricky. As with traditional marketing, if it’s too low, people assume low quality. If it’s too high, they start looking for competitors. Deciding on price takes a lot of research. Plus the cost of customer acquisition has to be taken into account, though this may not readily be clear. Then factor in shipping costs, competitor pricing, and even exchange rates. Customers in another country may be prepared to pay a higher price for what they consider being a luxury item, and now you have the ability to get the product to them wherever they may be. Promotion – Content marketing plays a big role in online marketing. Since online marketing needs a degree of relationship building – people liking your product or service enough to keep coming back for more and telling their friends – something has to peak their interest and keep them engaged. Customers want to see videos, read catchy articles and look at cute cat pictures. They want to interact with a brand in ways few could have thought of half a century ago. Yet, despite the overwhelming presence of content marketers, a new study says few businesses have been able to convert these efforts into actual business results. Refining promotion strategies for online marketing has proven to be a challenge, even with social media playing such a pivotal role. Social media presents a huge opportunity to engage with potential and existing customers and get people to not only see your content but be spurred into action and to do the marketing for you by sharing with friends in their social media circles. Place – The success of companies like Amazon and eBay make this part of the marketing mix seem easy, but that’s not always the case. While shipping companies have evolved to enable smooth delivery of goods all the way from China to your flat, many challenges still remain. False description of goods, dishonest advertising, poor quality and late delivery are some of the issues that have negatively impacted online businesses. Has today’s marketing strategies outgrown the 4ps of marketing? Definitely not, but it does require some adjustment. Online marketing facilitates easier data collection and results tracking. However with all the advantages of online marketing, its success is still tied to traditional marketing methods. As for the 4Ps marketing mix, this will continue to evolve with advances in technology and expanding access to these technologies. To review your online marketing call ExtraDigital on +44(0)1227 68 68 98 or tell us more about your needs below.